I wouldn’t be inclined to label anxiety as a mental illness or medical condition, although it most definitely comes under the realm of mental health. It is more of a tendency that is provoked within us, to react in an anxious way before particular people or in some situations, predominantly because our past interactions and dealings with certain people have left a negative impact on us, both emotionally and mentally, and we do not want to experience the same situation again. As well as being a tendency, anxiety can be viewed as the moulding of a habit, one that is considered bad and looked down upon, like the habit you used to have of biting your nails when you were younger, and were later punished for by dipping your fingers into that absolutely disgusting, vile, strong-smelling liquid. If there was a punishment for anxiety, the physical, emotional, social and mental effects would be the equivalent, with a promise of a far more excruciating experience than the nail-biting solution (not that I am admitting to doing such a thing!). 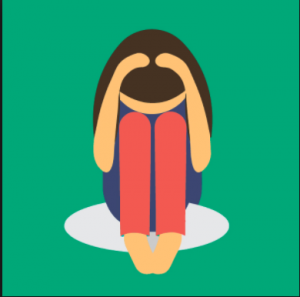 Defining anxiety as either a tendency or a habit, or both, leaves no room for association with the idea of a mental illness — the way it should be, not only because it is the truth, but more importantly because of the potential harm it could cause to someone suffering from anxiety: it can leave a sufferer of anxiety feeling isolated and completely marginalised. What is worse is that they may be urged to believe that there is genuinely something severely wrong with their minds, their ways of thinking and their thought processes, which is definitely not true! Thankfully, we as a society are making progress in tackling the historic, deeply-embedded theory that mental health is somehow unimportant and that the expression of your true feelings and emotions should be avoided, regardless of the cost it might incur. 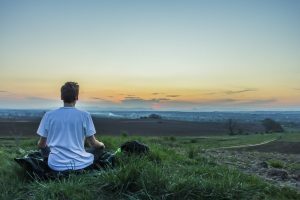 In light of the fresh dawning of 2018, society as a whole should endeavour to look upon anxiety as a tendency that some people are more prone to resort to over others when they encounter someone or some experience which instantly stirs an overwhelming sense of fear and dread within them, rather than a mental illness. However, though comparing anxious tendencies to habits is helpful in its understanding, it is also rather perplexing to grasp. The general rule of breaking a habit in 30 days doesn’t apply in a case of anxiety; it takes a bit more work, time and patience as well as a substantial dose of readiness to lean towards the next step in improving your quality of life. I think of anxious occasions — the more routine ones, of course — as falling in line with those more challenging habits like smoking, in terms of the difficulty involved in giving them up. It doesn’t matter whether there is any good in worrying about the thing in question —that’s not the point! The point is that some people naturally struggle to deviate from worry when they hear of a sudden change to some aspect of their life; they find it challenging not to start fretting about the endless list of ‘what ifs’ resulting from a certain action they are now unsure about, or said something as an impulse, and are now overthinking the repercussions that may arise – it’s part of their nature. It’s extremely difficult for a person who experiences anxiety on a regular basis to suddenly flip a switch and turn to other ways of responding to something — that effort in itself can conjure up a gust of fear. How are we suddenly supposed to focus on what’s happening in a movie when there are worries on our minds that block our ability to see the screen properly and enjoy the film? Or how do we suddenly prevent our bodies from shivering and shaking, and our hands from trembling when worry comes to the fore? These are just some examples of the ways in which anxiety can occur, but of course there are many different levels of anxiety, and anxiety affects people in various ways. It is the case for some people that they get so used to reacting anxiously that it becomes cultivated in their natural being — of course, this is only particularly true for some of us who are more prone to anxiety, and not every anxiety sufferer would relate to this. The reality is that trying to overcome the severities of anxiety is a work-in-progress, a slow process, very much like a habit that is challenging for you to do away with. As a result, lessening the impact and regularity of anxiety requires an ample amount of encouragement, moral support and people who love you and genuinely want to help you from feeling worried every time something doesn’t go to plan, and to help you stay cool, calm and collected when you are overly nervous about an exam or an interview, for instance. To sum up, anxiety comes so naturally to some of us, that sometimes living without a frequent interaction from fear and worry is almost unimaginable. until I came to college and learned how to manage my anxiety and how to make it have a lesser impact on my life. On the other hand, there are people who usually wouldn’t give two hoots about such consequences, and are not overly phased by the unexpected happenings of life – those of you who find yourselves in this position are lucky as you generally have more time on your hands, as less of it is consumed with worrisome and fearful thoughts. It is understandable that those unaffected by the extremities of anxiety may find it difficult to relate to its negative impacts, and continue to ask why some are almost forced to react in a very anxious way, or why certain physical and emotional responses transpire in response to certain incidents. This can be very frustrating for an anxious person, especially when their loved ones struggle to comprehend their anxiety and accept it. But perhaps such people who don’t yet understand anxiety and its causes could learn to help those who ironically embrace it to calm down and think clearly and realistically when sudden and sheer panic lurks. In an ideal world, this results in both parties benefiting, because the non-sufferers gain a better understanding of anxiety and, hopefully, a sense of sympathy towards those for whom it as a frequent and overwhelming incident.